Which Is It? Hurricane, Typhoon Or Tropical Cyclone? : The Two-Way When it comes to what you call a particular tropical cyclone, it's really a matter of location, location, location. Typhoon Bhopa scene over the Philippine island of Palawan last December. What's the difference between a hurricane, a typhoon and a cyclone? Nothing more than location. Hurricanes, typhoons and cyclones are all rotating storms spawned in the tropics. As a group, they can be referred to as tropical cyclones. Because of the Coriolis effect, these storms rotate counterclockwise in the Northern Hemisphere and clockwise in the Southern Hemisphere. Hurricanes are in the Atlantic and Northern Pacific. So, the U.S. Eastern Seaboard and the Caribbean, as well as (less frequently), the U.S. and Mexican west coasts, all get hurricanes. "Tropical cyclones forming between 5 and 30 degrees North latitude typically move toward the west. Sometimes the winds in the middle and upper levels of the atmosphere change and steer the cyclone toward the north and northwest. When tropical cyclones reach latitudes near 30 degrees North, they often move northeast." When a tropical cyclone forms in the western Pacific between 180 degrees and 100 degrees East longitude, it's called a typhoon. So, Japan, China, the Philippines, etc., get typhoons. 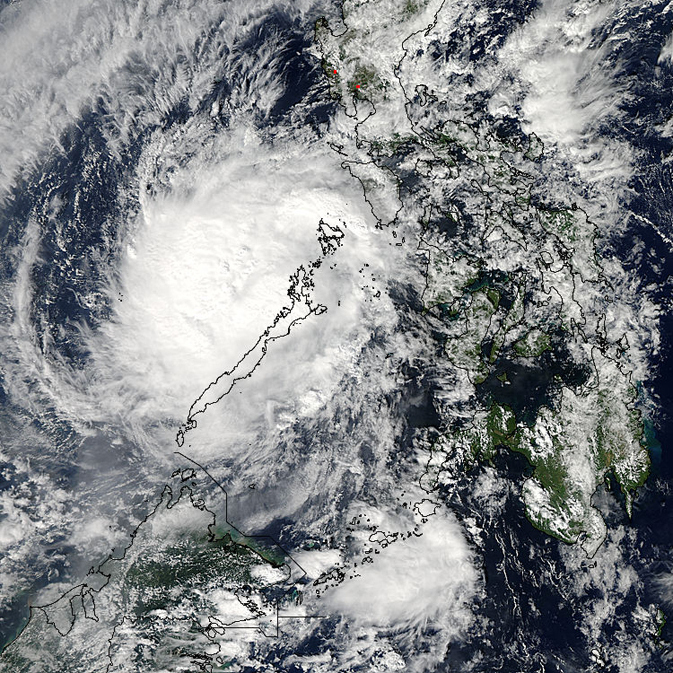 Tropical cyclones that hit the southeastern Indian Ocean or the southwestern Pacific (where they spin clockwise) are all called tropical cyclones, or simply cyclones. So, north of the equator, India and Bangladesh get tropical cyclones, as does Australia in the Southern Hemisphere. "While the Atlantic hurricane season runs from June 1 through November 30, the typhoon and cyclone seasons follow slightly different patterns. "In the northeastern Pacific, the official season runs from May 15 to November 30. In the northwestern Pacific, typhoons are most common from late June through December. And the northern Indian Ocean sees cyclones from April to December."